Do you shop online? These days I make more purchases online than I do at actual stores. I love the convenience of online shopping. I love the selection. I love not having to “go shopping”! And I also love saving money. But while saving money is great, I am not willing to work particularly hard to do it. I’m not going to clip coupons, sign up for emails, do online surveys or follow a company on Facebook just to save a few pennies. But if I can shop online, save some money and don’t have to jump through a lot of hoops, I’m all in! 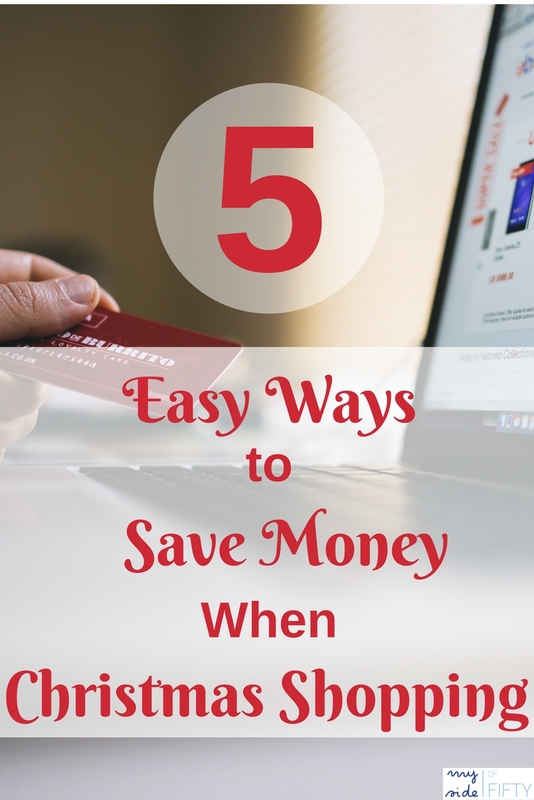 Here are my 5 EASY ways to save money when shopping online. 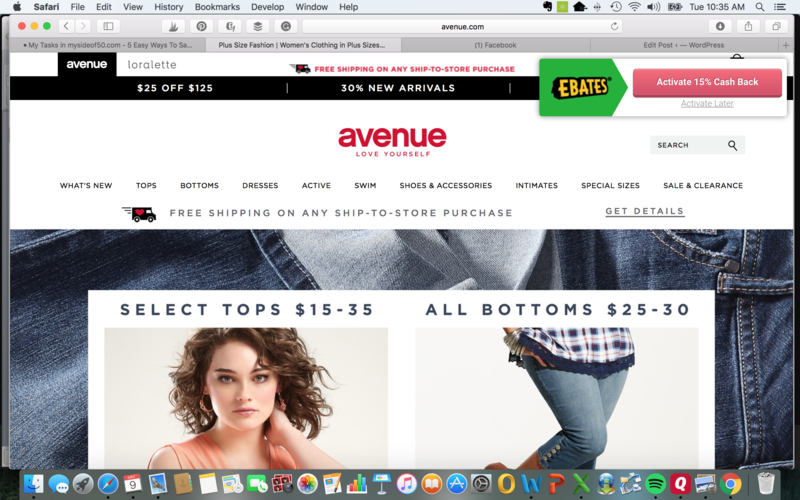 Last fall I discovered Ebates in a review from another blogger and I am hooked. It’s easy to sign up at Ebates.com. Just give them your e-mail address and set a password. No credit card information necessary. How does it work? Shop at your favorite stores through Ebates. Earn cash back for every purchase. Every quarter Ebates will send you a BIG FAT CHECK with your earnings. It’s that simple. Go to Ebates.com and sign up. Install the Ebates button on your browser – it’s literally one click. Every time you shop online, an Ebates window will show up telling you what percentage of cash back you’ll get at that store. Activate the button and start saving. At the end of the quarter, watch your mail for the check! Since November 2016, I have received $484.66 cash back from Ebates. That’s a significant chunk of change for little effort! You’ll earn your first $10 with Ebates, simply by signing up. Ebates is the best way I know to save money when shopping online. Ebates also has ways to save “in store” at some of your favorite retailers, so check that out when you sign up! Raise is a site where you can buy gift cards at a reduced price. For example, today you can buy a Kohl’s gift card worth $500 for $462.45. That’s an almost $40 savings. Search for a gift card from your favorite retailer and purchase it. Raise will send you the e-gift card via e-mail. When checking out with the retailer, put the gift card code in the required box. You can save some big money with Raise. For example, I once purchased a $300 gift card to Chicos for $230. However, not all the savings are that big. You’ll find that the higher the demand for a particular type of gift card (like Amazon), the lower the savings. And depending on the retailer, it’s not always easy to know where to put that gift card code when you are checking out. Now, Raise has GREAT customer service. When I’ve had an issue with this I’ve received a prompt response and the problem was solved. But again, for me, the savings have to be worth the time spent. So… if I’m making a larger purchase and can get some big savings with a Raise gift card, then it’s worth it. And by the way, Raise is an Ebates retailer, so every purchase you make with Raise will get you cash back! Amazon Prime – Granted, it costs $99/year to be an Amazon Prime member, so there is an initial outlay of cash. But with an Amazon Prime membership, you do get free 2-day shipping, which if you do a lot of shopping on Amazon is so worth it. And is there anything in the world that you CAN’T get on Amazon? There are also a number of other benefits that you get with Amazon Prime that add value to your membership. My favorite is their streaming service of movies, TV shows, and Amazon Prime originals. You can see some of my favorite Amazon Prime shows here. Other benefits include free music streaming and online photo storage as well as LOTS of other great deals. Zappos is THE BEST for this. They offer free shipping without requiring a minimum purchase. And if you need to make a return, they don’t charge you for shipping to send something back. You can’t lose with a deal like that. I buy most of my shoes from Zappos, but they also have women’s, men’s & kid’s apparel and accessories. Many stores offer free shipping with a minimum purchase. But what about paying the shipping costs on a return? I avoid this by purchasing from online retailers that have an actual store near me. I take advantage of the free shipping on my purchase, but for returns, I just take them back to the store. No return shipping costs incurred. Do you shop online? What are your money saving tricks? Tell us below in the comments! Since I live in India, many of these are new to us, Cathy. However, things are changing. I do a lot of online shopping via Amazon India. Amazon is just the best! And they are everywhere! I now purchased three dresses overseas. It is a gamble because the shipping costs when you want to return are huge so that will put you off. But I didn t have to return them! They are great. Nancy – so glad that those dresses worked out for you! There are so many options for online shopping these days. Thanks for reading and commenting! Thanks, Cathy! I know what you mean about trying it on at home. I have also bought something at the store only to get home and have another just like it. Also good to know about the gift card site, I will be checking that out. Raise can really save you some money, Sherry. And if you have a gift card that you won’t use, you can also sell it on the site too! I enjoy shopping both online and in stores (sure, you could call it an addiction, ha ha) . But I can’t believe I’ve never tried ebates!! Thanks for this—I’m doing it today! I ONLY buy clothes on-line. Mainly for the same reasons you do Cathy. One other thing that is a must for me is looking up the reviews. I have changed my mind about many items if reviews were bad. Even from a catalog, I go to their siite and type in the item number. Many times the item is also on sale when I go to the site. Thanks for the tips. Will join e-bates today. Pam – I forgot all about the reviews! Yes – those are so important and I like when they include stuff about the fit – if it’s true to size or not. You will LOVE Ebates! The only one I have used from your list is Ebates. Stopping by from the Pit Stop. I have Amazon Prime and keep forgetting that I get more than just free shipping! I’ve also never heard of Raise…checking that out asap! I love shipping online Cathy so convenient. Thanks for sharing your tips at #overthemoon link party. I’ve pinned and shared. I get my money’s worth from my Amazon Prime account every year for sure LOL I have never heard of Raise – I am going to check it out! Thanks! 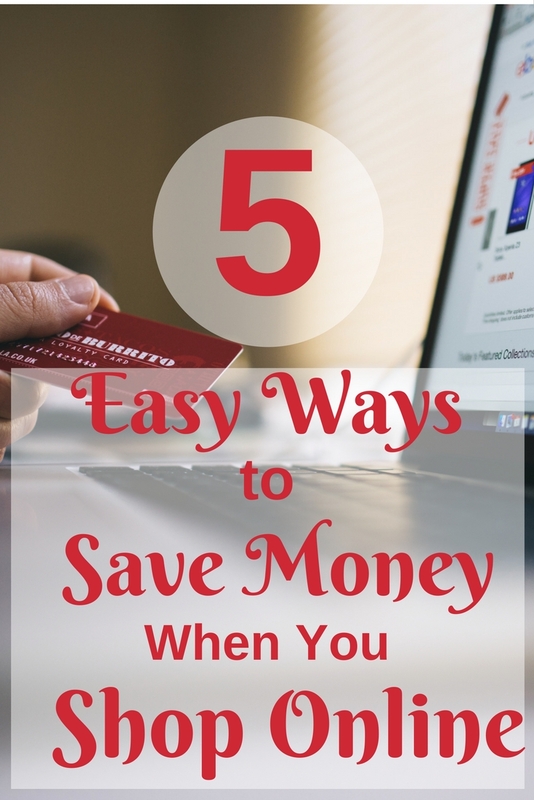 I never thought of all these ways to save online. I make most of my purchases online so thanks for this public service announcement, Cathy! Wonderful. Cathy – I purchase as much online as possible. And I tell people that ebates is so easy that if you don’t use it, you’re leaving money on the table! I’ve never heard of Raise. Going to check it out now. Thanks for the tip! Karen – give it a try. You can really rack up some savings. Good post share. “online shopping related”. very helpful for everyone. So glad you found it helpful, Dealman! OH thank you! These are awesome. I already use Ebates, but I wasn’t aware of the rest of them. As someone who runs an online company selling sleepwear I too shop online! I would mention reviews. As a business owner and a consumer they really help when specific and are really appreciated! I also use Honey to search for coupons and deals. It helps. My daughter and son-in-law swear by Honey. I need to check that one out! These are great tips, and I have to follow more of them. I always return online purchases to the store. It’s so much easier – and usually less expensive. Lois – I like to use savings programs that don’t require me to do more than click! That’s why I LOVE eBates! I am so looking forward to Amazon Prime Day next week!!! Do you make a wish list before the sale starts? That’s what I’m thinking of doing. Great, Karen! I hope she finds the tips helpful. I love Ebates! I love online shopping and have started my holiday shopping. I will see when I can use these tips so that I can save a few bucks too. Elise – Ebates is my favorite way. SO Easy and that cash back adds up! I used Raise when I was helping my daughter get things for her nursery. Saved some money on some big ticket items! Online shopping is always gives me new experience. i just read your blog and get some saving money tips. Jhon – I hope you are able to use some of the tips. Ebates is my favorite! I love your blogs Cathy!I Glad to read this article.I usually buy my clothes from online stores and use coupon codes to save money.It’s also best way to save money, because i got 50% to 60% off on selected items. Those coupon codes can result in some great savings! 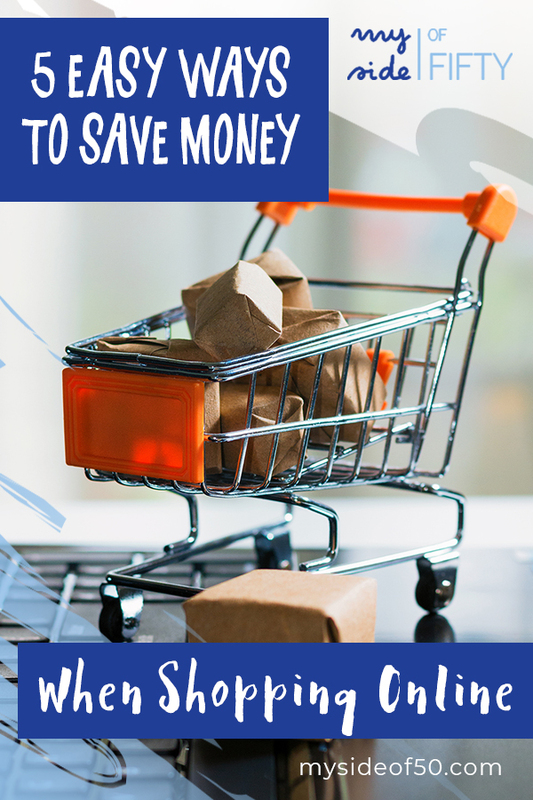 You have shared some really great tips for saving money. 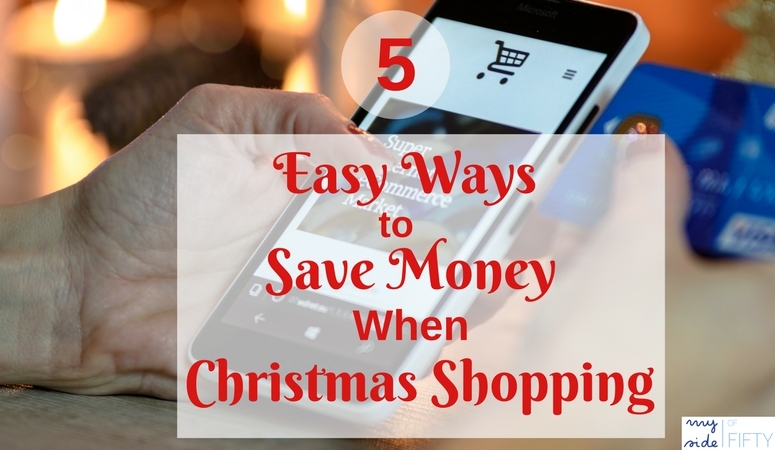 I do my most of the shopping from online and I am sure this tips will help me. Thanks for sharing.